Have you heard of the company Psyche? Psyche is proud to be the North's premium brand designer store. Established over 30 years ago in Cleveland they have built a reputation for super luxury fashion all under one roof. The store has the WOW factor as do the brands themselves - Armani, Barbour and Hugo Boss are just some of the premium brands as well as great accessible designer-ware from Ted Baker, Fred Perry and French connection to name but a few. At 35,000 sq ft, Psyche is a size of a large department store with a boutique passion for fashion. They talk of their store as providing 'retail theatre' and the complementary gift wrapping is always a great finishing touch. I adore Michael Kors, so was pleased to see that Psyche sell one of my favourite designers. Michael Kors if you don't know the name, is a fashion designer based in New York City. His brand of fashion is loved by many celebrities including Jennifer Lopez, Catherine Zeta-Jones and Michelle Obama. His name is synonymous with classic affordable luxury. Also known for his beautiful watches, I have had my eye on one in rose gold for a very long time. He was even mentioned in the film The Devil Wears Prada so he must be one of the fashion elite! Whilst browsing some of the fabulous fashion at Psyche online I have chosen some of my favourite pieces for Autumn/Winter. A lovely dress for Christmas parties, with a rock and roll vibe. 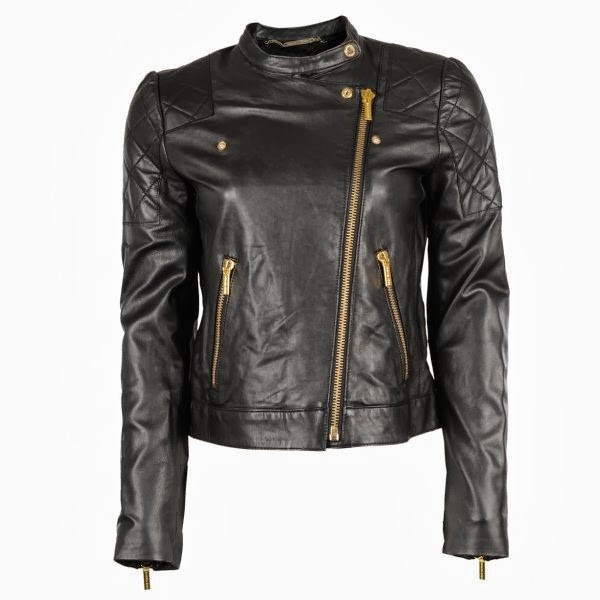 This quilted leather jacket is a great choice for winter and will spruce up a plain outfit instantly. All Psyche orders to the UK are free no matter what the order value, and if ordered before 4pm Monday to Friday will be dispatched the same day. And if you can't decide what to wear for the weekend you can always choose Fedex for next day delivery for a very reasonable £3.95 (free on orders over £99). So if you are after that classic cool piece from the latest collection you would do well to visit Psyche, and with free delivery and a 10 day return policy you know you are in safe hands with this premium designer store. Michael Kors is one of my favourite designers. Love everything by the brand! Thanks for your comment Jessica I do too! I really want that purple dress above! I love Psyche, I bought a dress from there a while back. That purple one is gorgeous!